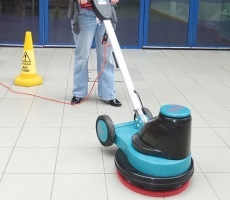 Battery powered, ultra high speed burnisher designed for daytime cleaning, when customers, staff or patients are present. WHAT IS THE ORBIS UHS CORDLESS BURNISHER? Featuring a 1500 rpm pad speed and 43 cm cleaning width, this high speed burnisher offers maximum productivity and provides exceptional ‘wet look’ burnishing results. Featuring straight-line operation and a lower profile for greater accessibility in hard to reach areas, the Orbis Cordless Burnisher offers a cost-effective method for burnishing. Benefit from ‘dust-free’ burnishing, with airflow created by the brush rotation transferring dust into the transparent dust collector, which can be easily removed for emptying. WHAT IS THIS HIGH SPEED BURNISHER BEST SUITED FOR? 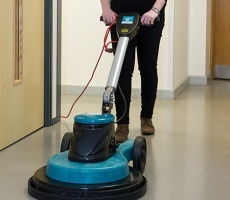 Being whisper quiet, this battery burnisher is ideal for polishing hard floors in retail, healthcare and educational premises. 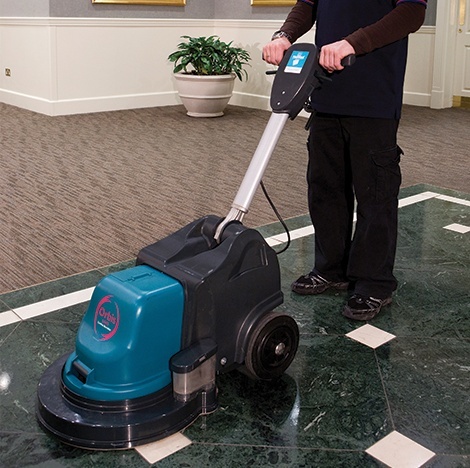 With no trailing cables, the Orbis UHS Cordless Burnisher is perfect for daytime cleaning when customers, staff or patients are present. WHAT ARE THE BENEFITS OF THIS ROTARY BURNISHER? Please Note: Orbis Cordless Burnishers feature an integral drive disc. Pads are required to be completely operational. Only use pads specifically designed for use with an ultra-high speed (1500 rpm) machine. 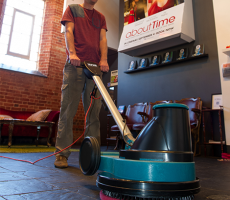 IS THERE ANY MORE INFORMATION ABOUT THIS COMMERCIAL FLOOR BURNISHER? 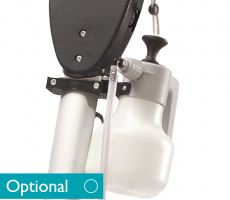 Accessories – You can view the Orbis Cordless Burnisher accessories by navigating to the accessories tab above. 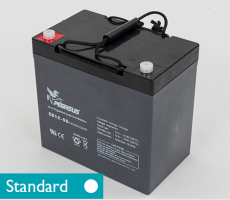 Product Downloads – If you’re looking for more information, including technical specifications visit the product downloads tab.